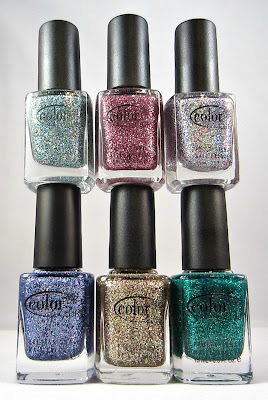 I don't usually post my nail mail, but today was hectic and time constraints left little time for a more involved post! Tomorrow is another day, right? Here's what my nice mail man brought me today. 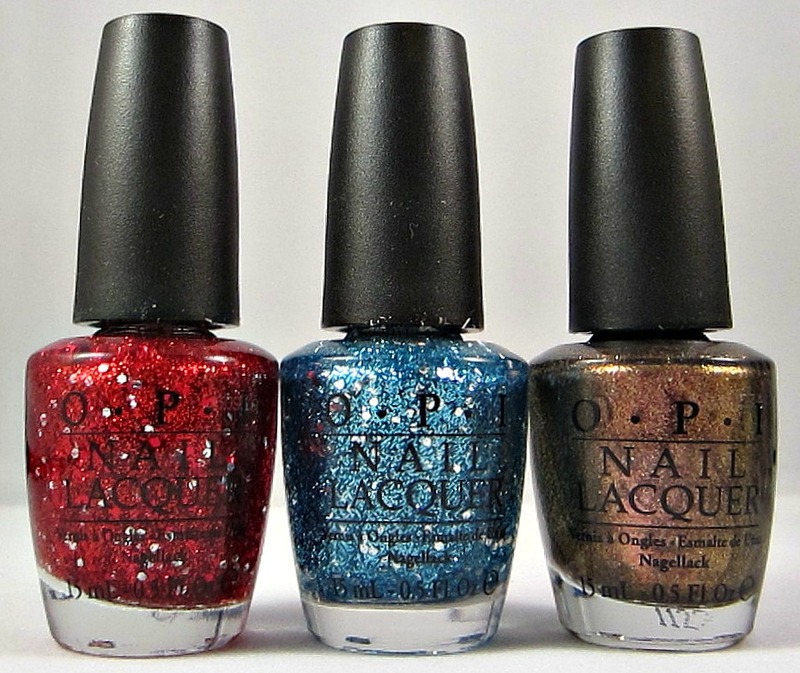 My picks from the OPI Holiday Muppets Collection, Gettin' Miss Piggy With It, Gone Gonzo, and Warm & Fozzie. 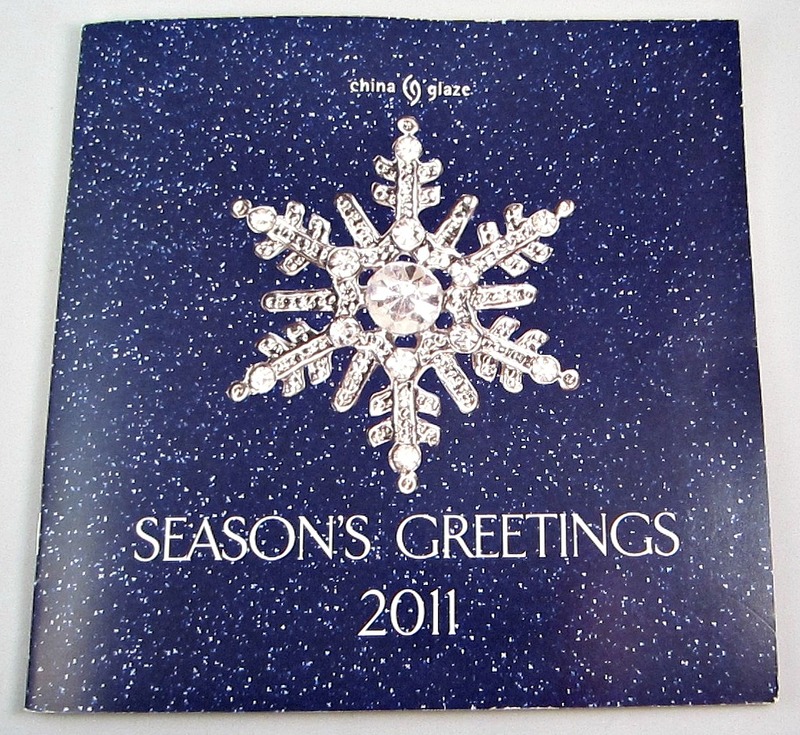 Color Club's Beyond the Mistletoe, their Holiday 2011 collection. 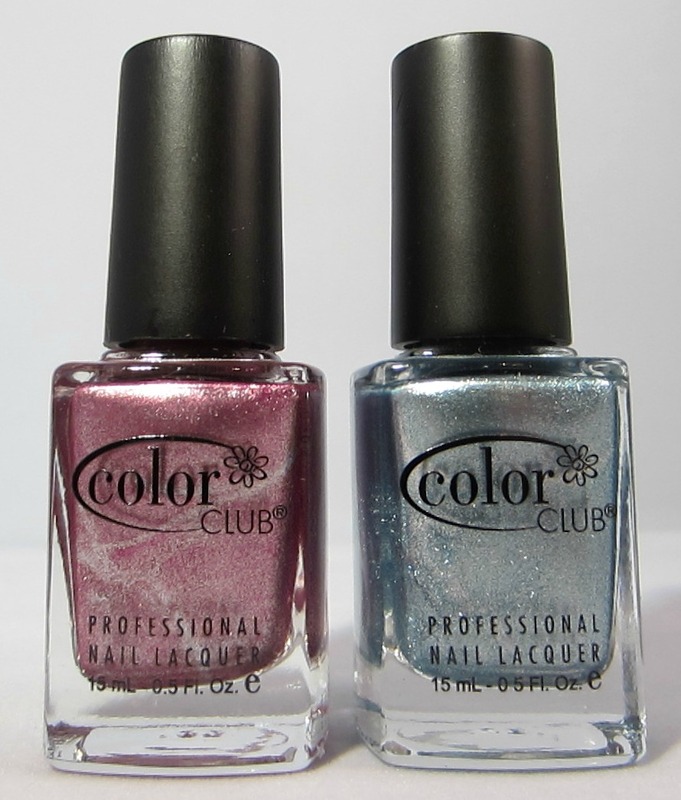 A few shades from Color Club's Foiled Collection, Foil Me Once and Lumin-Icecent. 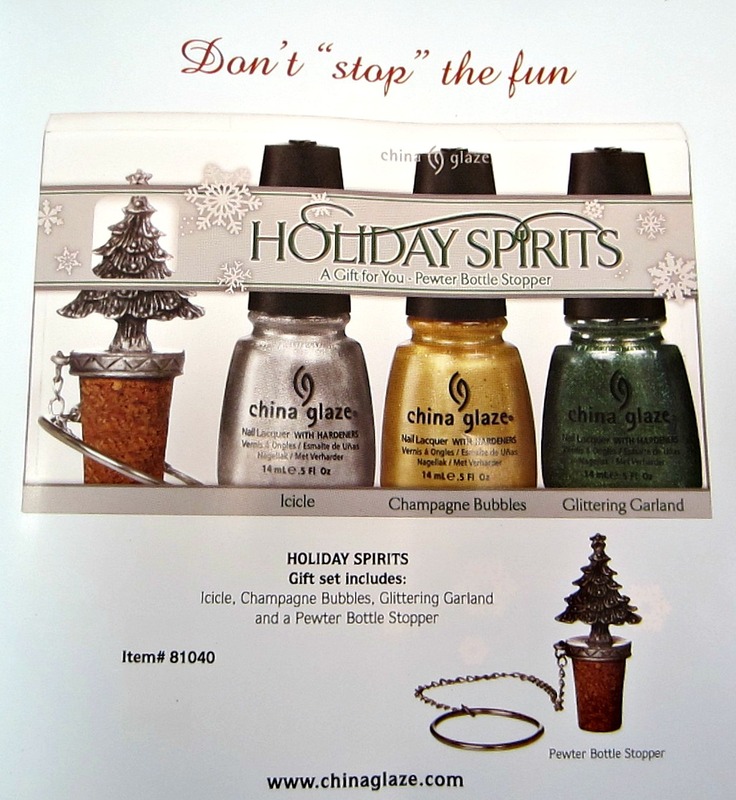 This isn't nail polish exactly, but the China Glaze Holiday booklet was in my package from VNS, and there are some super cute gift packs this year for their Let It Snow Collection. If anyone's interested in seeing them, I can post all of the pages. This is my favorite set...one can never have too many wine bottle stoppers...or too much wine, for that matter! 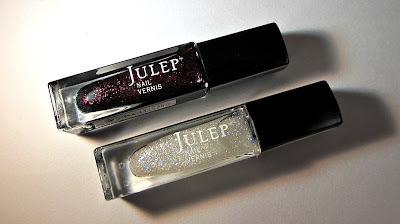 This is my third Julep Maven package, and I still haven't unpacked my first two. Nail fail on my part! 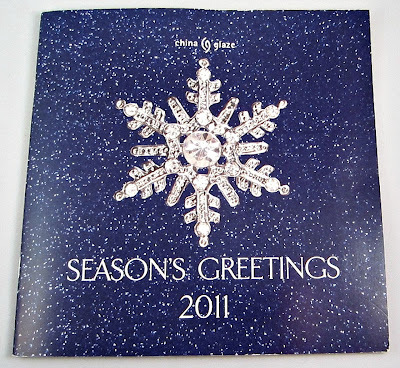 I know there have been some problems with this program, although I haven't personally experienced them. Because I haven't yet tried any of their products, I can't comment on them, but here's my October box. From what I understand, the October boxes were free of charge, as a sort of peace offering to make up for some of the problems they experienced when the program began. 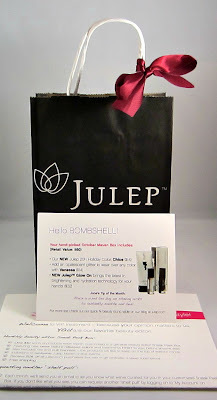 My Bombshell package included two new Julep Holiday colors, Chloe (black creme with deep fuchsia foil glitter) and Vanessa (opalescent glitter to wear over any color). Also included was a tube of Julep Glow On, an age defying hand brightener. Can't wait to see the color club from the top on the right! AH! 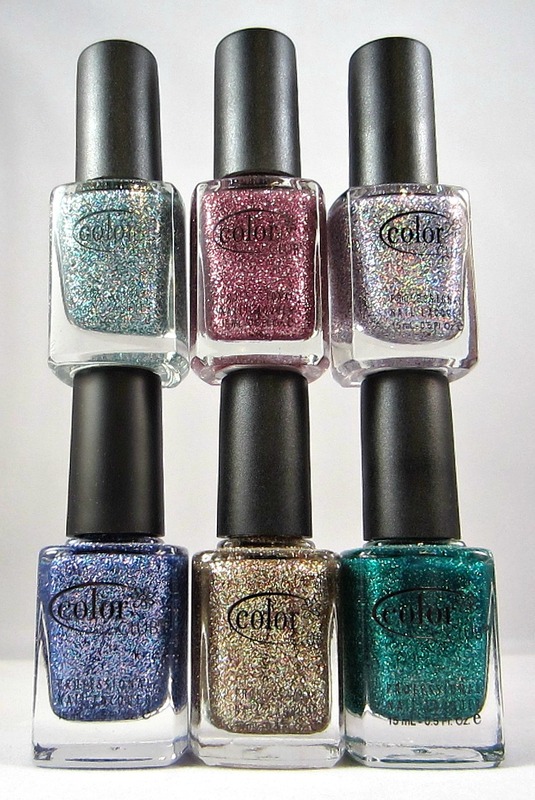 Can't wait for the Color Club swatches! Can't wait to see those swatches!! AWESOME! I've swatched 2 of my polishes, but painted my nails with Miranda last night (lol that makes me laugh because it's my daughter's name) and I really do like their polish. The colors on the page don't always match the bottle--and sometimes what's in the bottle looks different on the nail (both were the case w/ Miranda). The hand cream is nice, I've used it a few times already. I want all those Muppet glitters! Color Club is one collection I want! I've seen the Julep collection on YouTube. I'm not touching that one! So far I am really disappointing in the Muppets glitters. The blue one you got is semi OK - the red is super sheer - looks great in the bottle though. The pink glitter spreads OK. Warm and Fozzie is a really nice shade. The lightest of the neutral/red portion of the muppet collection is a really good one - not too gold, not too silver and a perfect undercoat for lots of sheers and glitters. 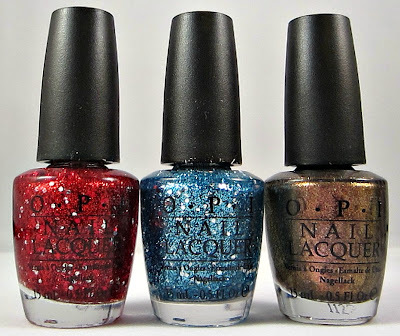 I am big time ready for OPI to go back to the more traditional holiday collections I used to look forward to so much each year. I also am not feeling good about the Maven program. I don't usually like things picked out for me - the price/mo also is high even if you can ask for a shelf pull if you don't like what is coming.